“When (JFK died), I was working at the Telegram and that was my first real event that happened to me that really got me interested in news and politics,” Donato, 79, said Wednesday. 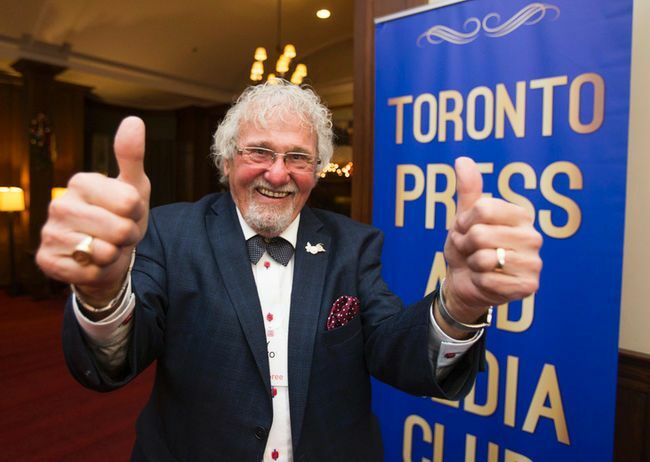 The Toronto Press Club named Donato, as well as John Fraser, as this year’s inductees. A gala dinner is scheduled at Toronto’s National Club for November 22. Donato joined the Toronto Telegram in 1956 as a freelance artist and the Toronto Sun when it launched in 1971. Three years later, he started cartooning full-time and has been appearing in the Sun ever since. Some of his accolades include a National Newspaper Award and an award from the Montreal Salon of Cartoons. "Sun cartoonist Andy Donato inducted into Canadian News Hall of Fame" in the Toronto Sun.